Would you believe that a portable garage could help you to get to know your neighbors and save money? Think of all the high dollar items you might like to own, but you don’t use them often enough to justify the expense. Maybe you could have nice things if you and the families around you shared your stuff and then stored them in a portable garage. Carpet steamers:Did you know that your carpet will last longer if you steam clean it at least once a year? Make this the year you get on a regular schedule. Pressure washers:Is your patio, driveway or siding not looking as fresh as you would like? Imagine having a pressure washer handy to use at your convenience. Chippers:If you celebrate Christmas, you may want a chipper at least once a year to make recycling your tree easier. It’s also great for clearing dead tree branches out of your yard. Snow blowers:Don’t let another blizzard take you by surprise. The whole neighborhood can be prepared when you have the right snow removal equipment. Party and fitness gear:Are we having fun yet? While your arrangement can help you with many essential home maintenance tasks, you can also use it for entertainment purposes. How about a popcorn machine or a kayak? Of course, now that you and your neighbors are friendlier, you want to protect those relationships as well as your financial investment. Having everyone sign a written contract is a good idea for protecting your interests. 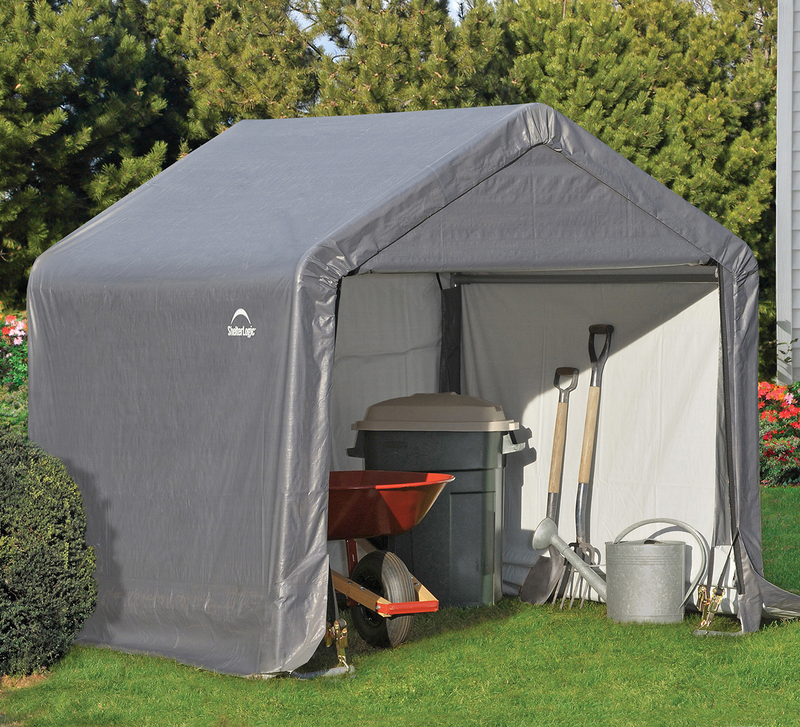 If you’re tired of paying high prices to rent carpet cleaners and party equipment, invite your neighbors to join you and get a portable garage to store your cool new things.Contact us at CanopiesAndTarps.comfor outdoor shelters that will keep your stuff safe and accessible. 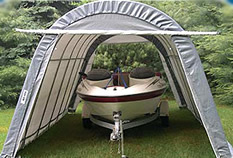 This entry was posted in portable garages and tagged portable garages on April 5, 2019 by Canopies Tarps. If you are a big-time car enthusiast, you might like spending time working on your vehicle, making customizations, cleaning it and more. If you don’t have a garage, you might wish that you had one. However, in some cases, this just isn’t a possibility. You might not have the money to spend on a garage, for example, or you might rent. Luckily, portable garages are the perfect option for car enthusiasts. 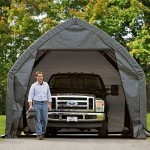 A portable garage can provide you with the perfect workspace for working on your car. You can be sheltered from the sun and the elements, making it possible for you to work on your car or clean your car whenever you want. You can purchase a portable garage for a reasonable price, so you won’t have to spend as much as you would have to spend to purchase a more traditional garage. Plus, if you’re a renter, you won’t have to worry as much about making your landlord upset, and you’ll be able to take it with you when you rent a different rental or when you finally buy your own home. 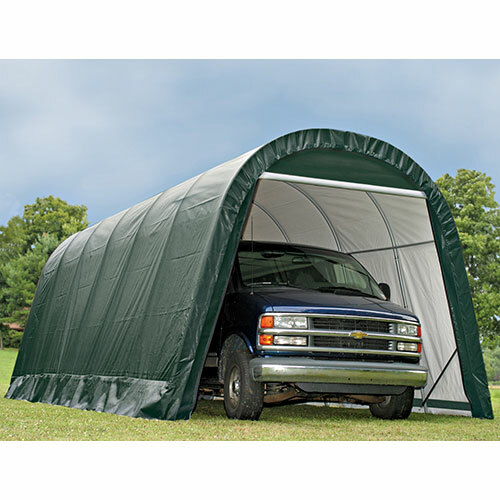 Plus, you can take your portable garage with you, so if you want to go over to a friend’s house to work on your car or if you are going to a car show, your garage can make things easier. 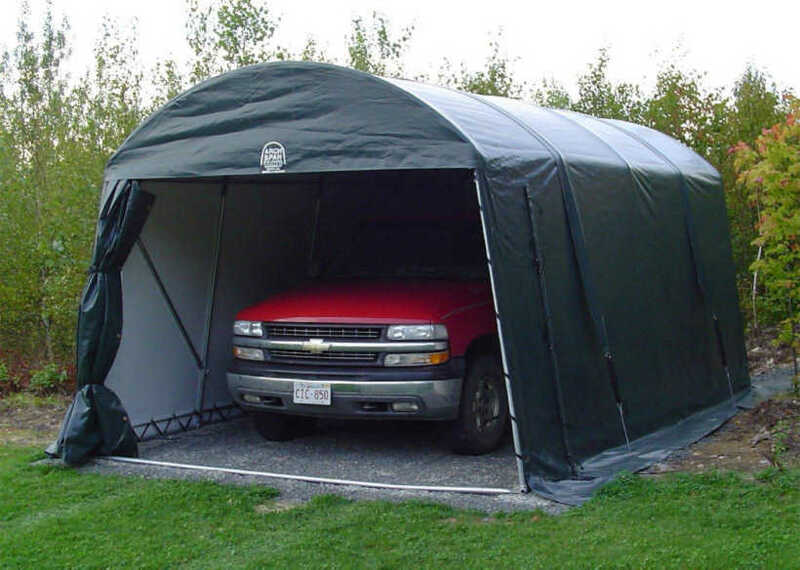 If you are a car enthusiast who does not have your own garage, or if you don’t have enough room in your garage for working on your cars, contact us at CanopiesAndTarps to find out more about our portable garages. 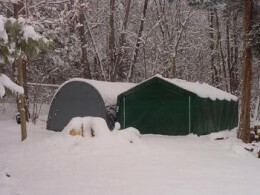 This entry was posted in portable garage, portable garages and tagged portable garages on December 29, 2016 by Canopies Tarps. Did you know that business liquidation sales frequently feature items priced far below their retail equivalents? In some instances, the savings are more than 50% per new or used item and they may come with transferable benefits too (e.g. manufacturers warranties). So how do people know which liquidation sales offer the best value on new and used items? And what should they do with the items they score at deep discounts? Before business liquidation sales, sit down and write lists of which items youd like to purchase and what they retail for. It may also be helpful to note data on service life, parts availability, customer experiences, resale value and reconditioning potential. Information on most major and second tier brands should be easy to find. 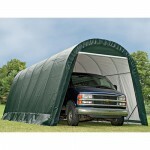 Also, order portable garages that are both sturdy and spacious. We’re sure that you’ll find the easy to move storage alternatives perfect for keeping liquidation sale finds safe until they’re needed for daily operation. 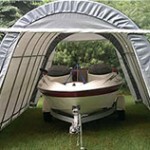 The portable garages will generally arrive at their designated locations quickly. Plus, they are easy to put into place. Afterward, check with your favorite liquidator for information on their current warehouse inventory and showroom models as well as upcoming auction lots. To save time, download the South Florida liquidators bidding app. Also, sign-up for their e-mail list and follow their social media pages. Oftentimes, theyll share the information youll need to compile the list through those distribution channels. Next, match your list to theirs and spend a minute calculating the savings. Place a star or other marker next to the items perceived to be the best value and make plans to bid or purchase it. Also, remember to think about cost-effective transportation. After all, one way or another, youll need to transport the item off site and that will add to the overall costs. So weigh the expense of renting a box truck and moving the items yourself against hiring a delivery company, then make a tentative decision. And above all, dont pay for the rental vehicle until youre sure youve won the bids or otherwise secured the desired items. To learn more about storing business liquidation finds in portable garages, please contact us. This entry was posted in portable garages and tagged portable garages on July 11, 2016 by Canopies Tarps. April showers bring May flowers. The spring also brings the opportunity to work on more projects, because warmer temperatures give you the chance to get out and do some home improvement or other DIY projects you’ve been meaning to get to. No one likes the idea of trying to stay warm in the winter with a space heater in your garage, as you try to work with slightly numb fingers on your next workshop masterpiece. However, you can easily imagine yourself working late into a pleasant spring or summer evening, sawing, drilling, sanding and sculpting. If you fantasize about turning your garage into a workshop where you can focus on projects and leave your materials out and available, it doesn’t just have to be a dream. 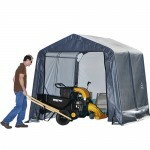 You can easily clear up space in your garage for a makeshift workshop by simply purchasing one of several unique designs of portable garages. Your portable garage can house your car, boat, RV or even just the storage items that might be taking up valuable space in your garage right now. When you move any of these things into a portable garage you’ll find that you have plenty of room for a toolbox, workspace and anything else you have in mind. 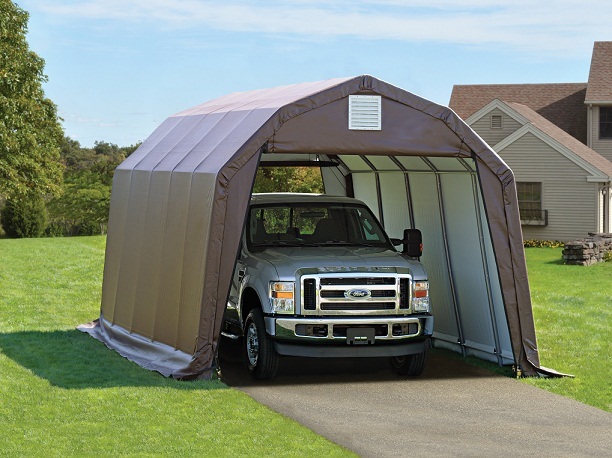 Portable garages come in custom sizes, so you can get just the space you need. 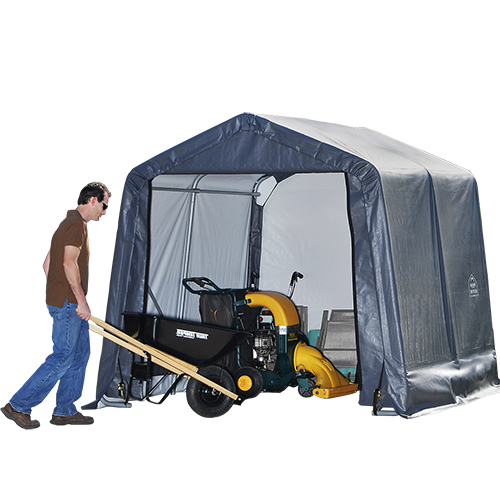 Portable garages are made of durable materials that will stand up to unpredictable weather. 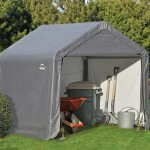 Please contact us for more information on ordering a portable garage for your property. This entry was posted in portable garage, portable garages and tagged portable garages on July 11, 2016 by Canopies Tarps. Whether you live in a property that does not have a garage, you are in the process of constructing one, or you are remodeling your current garage, you might need a portable garage to protect your vehicle. However, you might not want to make such a large purchase because you do not want to spend money on something that only has one use, but you can get a little creative to increase its overall value. If you ever have a large list of things that you want to sell, you can always try to take them to a flea market and set up shop. 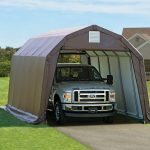 Whether you cover all of your big items and boxes or incorporate the entire display under the portable garage is up to you, but it can certainly help you stay cool on a hot day. A more realistic use for a portable garage is for holding a yard sale. 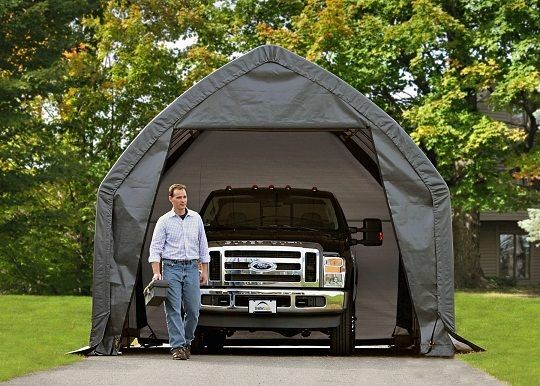 If you do not have a garage to protect yourself from the sun, you will enjoy having a portable garage to give you this protection. It is also hopeful for customers as they will feel more comfortable while browsing through your items. If you want to eat outside with your family, but you do not have a dedicated outdoor space, you can create one temporarily by setting up a portable garage in your backyard. Afterwards, you can set up a table and chairs to eat at, in which you will receive partial protection from bothersome bugs. 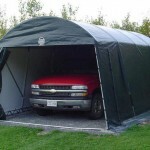 Contact us if you have any questions about our portable garage selection. 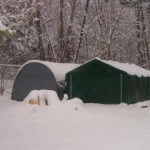 This entry was posted in portable garage, portable garages and tagged portable garages on April 14, 2016 by Canopies Tarps.